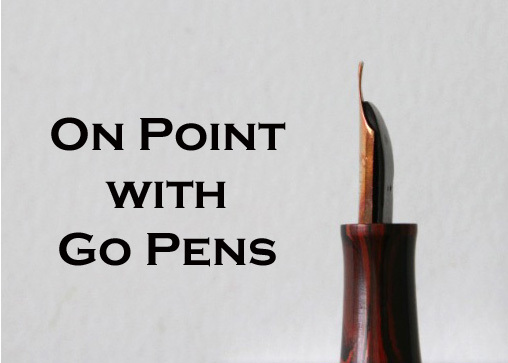 What is an oblique nib? An oblique nib has a tip that is cut or ground at a slight angle, and the pen must be rotated slightly to achieve proper contact on the page. If you’re unfamiliar with this, it can look and feel funny, and it may take some practice to get the hang of it and become comfortable with using your oblique nib. This entry was posted in Vintage Pens and tagged Nibs, On Point. Bookmark the permalink. Follow any comments here with the RSS feed for this post. Post a comment or leave a trackback: Trackback URL.